Spring has been so poky to actually come around and stay around, that I’ve been feeling deprived of my usual few stalks of early rhubarb from our yard. So I bought some at the store. And I’m not ashamed to admit it. Especially when the recipe that’s been running around in my head the past couple weeks came out of the oven. 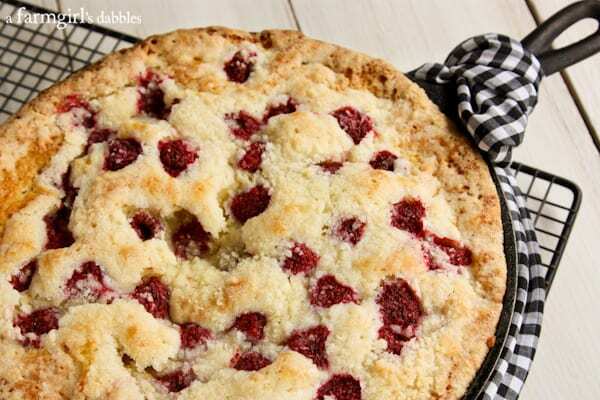 Filling my kitchen with the soft sweet scent of baked raspberries and rhubarb, creamy butter and sugar, I knew instantly that this puffed up beauty was going to be a winner. Trust me. 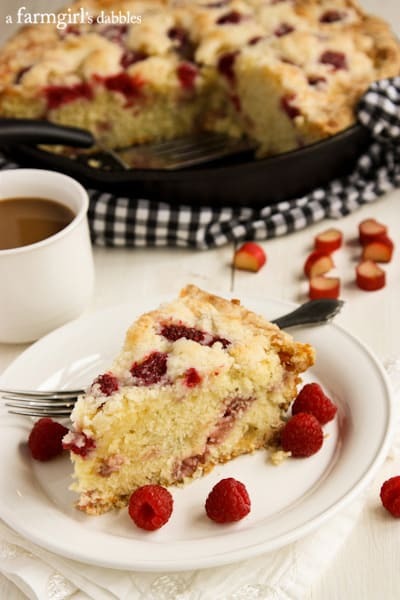 You need this Raspberry Rhubarb Skillet Coffee Cake recipe! I’ve been using our cast iron skillets more and more and more over the past year. But until this coffee cake came along, only savory dishes had graced the cast iron. I seriously contemplated baking this recipe in a springform pan or a large deep dish pie plate, but I’m so glad I stuck with the skillet concept. It worked perfectly, and convinced me to keep baking up sweet batters in it. This coffee cake is super tender, and perfectly moist with the loveliest crumb. Not overly sweet, the cake sits nice and tall, studded with tart pockets of rhubarb throughout. 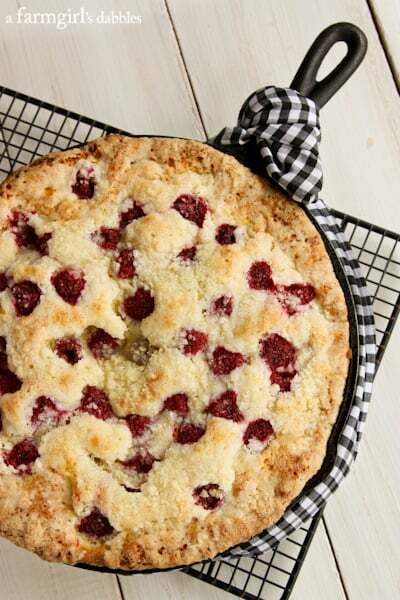 And sprinkled over the top are ruby red raspberries, naturally sweet and oh-so-pretty. And the crumb topping…ohhhhhhh, the crumb topping. I’ve always been a fan. Thin and crinkly and sugary…it’s “my thing”. I hope you’ll agree that it’s yours, too. Preheat oven to 375°. Grease a 10″ cast iron skillet with tall sides (a smaller pan will not work!) with the 1 teaspoon of butter. Set pan aside. 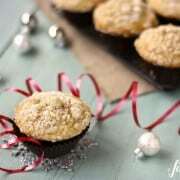 In a medium bowl, whisk together flour, baking powder, cinnamon, and salt. In a separate large bowl, or in the bowl of an electric stand mixer, cream together the remaining 3/4 cup of butter with the sugar until light and fluffy. Add the eggs and milk and beat until smooth, and then mix in the vanilla and almond extracts. Don’t worry if it’s a bit curdled looking. 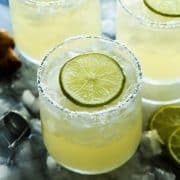 Add the dry ingredients and mix until just combined. Gently fold in the rhubarb and spread into prepared skillet. Sprinkle the top of the batter with raspberries, pressing them into the batter just a bit. In a medium bowl, mix together the flour, sugar, and salt. Cut in the butter with a rigid pastry cutter or a fork until you have pea-sized pieces. 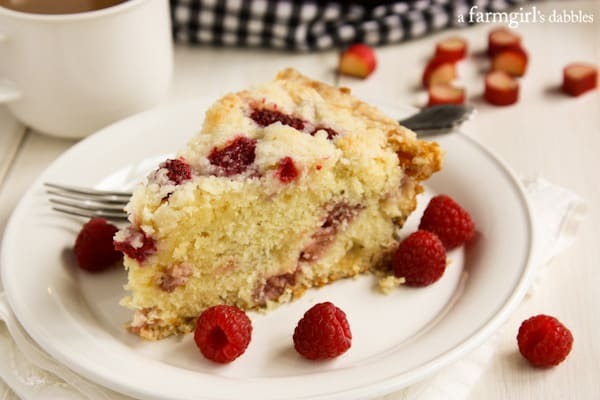 Sprinkle over the top of the coffee cake batter, taking care to let most of the raspberries peek through. Place skillet in oven and bake for about 50 minutes, or until coffee cake is puffed up and set in the center, and nicely golden brown. Remove to a wire rack to cool. Let cool for at least 1 hour before serving. When served still warm, it will be very tender (and also highly irresistible!). Heavily adapted from Mom’s Blueberry Tea Cake recipe. Be sure to check out more of our favorite rhubarb recipes! Brenda this looks so good! Yum! Rhubarb is my favorite Minnesota veggie! 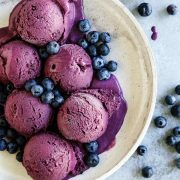 YUM – that looks amazing!! Can’t wait to try some with my rhubarb from the garden! Pinned it! I need to get on the rhubarb bandwagon this coffee cake looks ah-mazing. Yes, you do!! Love, love, LOVE! 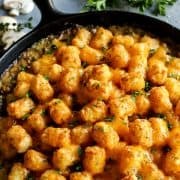 I made this last night in a 12″ skillet because I didn’t have a 10″–it worked great! I don’t know how it fits in a 10″ because after it baked, it was pretty much to the top of the pan. I did bake the full 50 minutes but would maybe cut back 5 or 10 minutes since it’s in a larger pan. I may have slightly over baked it but it was still yummy! This looks great! I have a 12″ cast iron skillet–do you think that would work ok if I backed off on the time a bit? So beautiful! Rhubarb reminds me of spring! 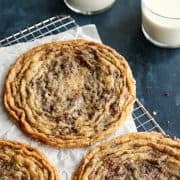 Could I just make this in a regular old round cake pan? That looks so DANG GOOD, I can’t stand it. Something really down home about it. Wonderful mix for a very moist cake I bet. I adore coffee cake like this.. perfection. And when you need some rhubarb, you absolutely need some rhubarb! I was talking about your raspberry patch yesterday with Grandma Veoma. I think we decided that I should plant my raised garden with raspberry plants since it is partially shaded and veggies aren’t really happy there anyway. I thought they would take too long to start producing but she told me that I should do it because her patch in town grew quickly and started producing quite fast. This will be my first project after school gets out. Yay! I’m hoping to start some strawberries this year. Can’t wait! I absolutely love rhubarb + raspberries together and love how you can see the raspberries peaking out … so pretty! Don’t feel bad for purchasing rhubarb from the store! that’s what most of us have to do! I’m excited for you that you will have rhubarb from your yard in the summer! So jealous! Happy Mother’s day, Brenda! So many people call rhubarb a “weed”, they would never buy it! I surely don’t think of it that way, but am used to always having it available from the yard, ever since Mom had it growing on the farm. Hope you had a lovely Mother’s Day! Oh, this coffee cake looks lovely, Brenda! Would love a piece of it for breakfast tomorrow. Such a fabulous flavour combo! So yummy! I’ve always been scared to try rhubarb. It’s not something we ever had growing up. Your coffee cake makes me want to take the plunge. It looks beautiful. This would be a lovely place to start, indeed. 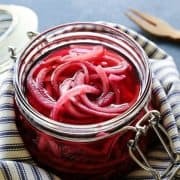 Don’t be afraid of rhubarb! It’s just a bit tart. And the raspberries on top offset it with fresh pops of sweetness. 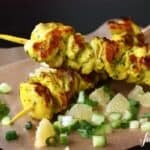 I think I’m going to have to try this recipe it looks delish! I made rhubarb cookies the other day and the kids and neighbours love them. So beautiful and such a delicious spring dessert! Looks delicious. 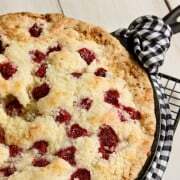 If you don’t own a cast iron skillet – what would you recommend baking this in and any adjustments to the temp or time? Would a 9in springform pan work? I noticed you mentioned it but stuck with the skillet. A reader recently left a new comment, saying they used a 10″ ceramic baking dish and it turned out great. I would also like to try a springform pan. If you only have a 9″ springform pan, this cake will be even thicker/taller, requiring more baking time to get the center set. Thank you Brenda for a great recipe. Happy Mother’s Day! I say…invest in a good cast iron pan! ;) I love using it! But…also give a springform pan or a large deep dish pie plate a try. I’m so hoping to find rhubarb at the market this weekend! And Happy Mother’s Day to you Brenda, it’s a joy to see the happiness you share with your daughters. 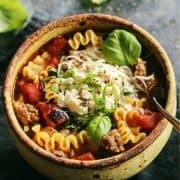 Thank you for highlighting seasonal flavors in your recipes! Our rhubarb is slow to here in Michigan but it’s coming along. 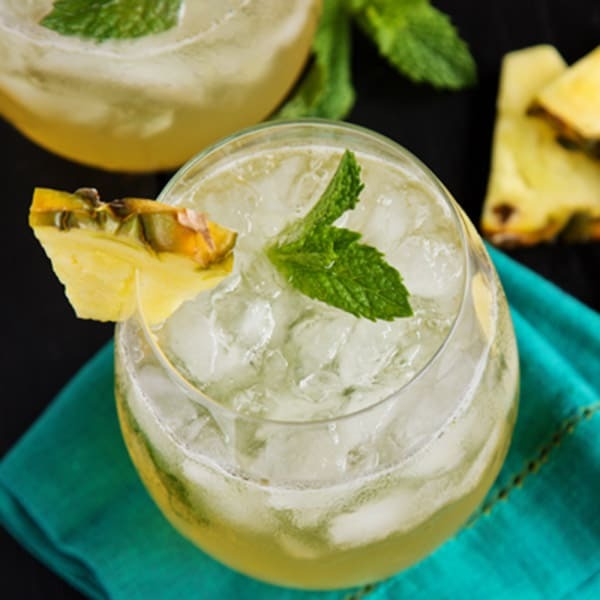 This recipe would make a lovely Mother’s Day brunch recipe. Happy Mother’s Day Brenda and to all of your readers too! Thank you so much, Wendy – hope you had a lovely day! Reminds me of something my grandmother use to make using rhubarb and cinnamon. Now I need to find the darn rhubarb. Wouldn’t this be lovely for Mother’s Day? I hope you can find some rhubarb! It should be widely available soon!! Our rhubarb is almost ready! Can’t wait to make this! My kind of flavour combo! ;) Looks lovely can I can’t wait to try it! Thank you, Aimee. Hope you had a lovely Mother’s Day! So prefect for spring and Mothers day this weekend. Gorgeous Brenda! This coffee cake looks absolutely wonderful! I love the rhubarb raspberry combo too!